Testing seems to be one of the most loaded terms in education. It comes with many a negative connotation and a whole raft of satirical cartoons. Indeed, I’ve seen first-hand what happens to the lovely, smiling members of my classes (not to mention me) during the GCSE years when faced with the horror of the English Language examination and it ain’t pretty. Yet allowing this to define our notion of testing in schools is at best simplistic and at its worst dangerous. I work in a school where we test pupils at the end of every half term followed by an end of year test which covers the material from the entirety of the year. Do we have a bunch of miserable, robotic, de-motivated pupils who have lost all chance to be creative? No, quite the opposite. So why is this? Like most elements of schools, it comes down to ethos. The half-termly tests form part of our general assessment system, which is driven by the curriculum, NOT the other way around. The tests are one key way in which to build our understanding of how best to support all the children at our school to achieve excellence. We don’t use levels, instead after each test pupils are flagged as red, amber or green to identify how far they are on their way to securing key areas of knowledge as decided by subject leaders’ curriculum maps. We then use these results to inform conversations with the pupils, which happen after every test cycle, and to make individual targets with pupils to help them progress. Framed like this, the tests becomes a positive way to interact academically with our pupils. Designing and evaluating our tests is also an interesting process as a teacher. In English I decided to go with a Section A of short answer and multiple choice questions followed by a Section B essay question (which pupils were given prior to the examination). In the end of year examination, I also included close text analysis from unseen texts and this time made the essay a comparative one, with pupils choosing to compare two out of the four key texts we have studied this year. The tests are deliberately designed to be challenging, with 1/3 of the paper set at GCSE level or above. So for English, tasks included explaining what a bildungsroman was; completing a poetic movements timeline; analysing the grammatical choices within an unseen extract from ‘1984’ and answering an essay question comparing texts such as ‘Macbeth’ and Blake’s ‘London’. Creating tests with this level of challenge was hugely exciting, I was able to reflect on how far I had been able to take pupils in the last year and it was an opportunity to see whether my curriculum design had achieved its goal of aiming higher. I was setting questions that I would have expected my Year 11 students to struggle with and yet here were some Year 7s grasping the material. You begin to learn how far you can push it, where you can slip in a GCSE or even AS Level question and what types of assessment allow your pupils to show off all that they need to know and so much more. 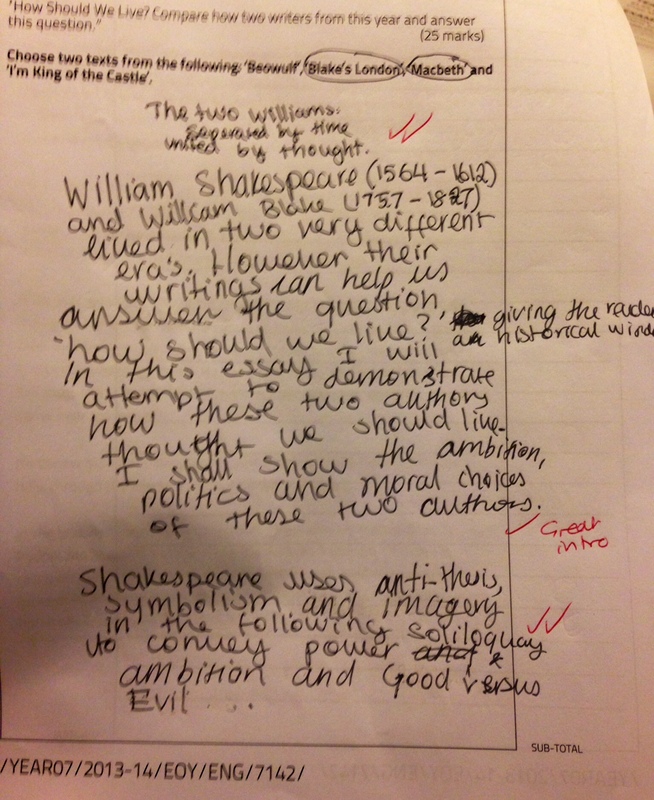 Getting essays back with material such as this, proved that there had been some great successes. In fact marking the tests was an insightful experience, not only into how pupils performed but into the teaching throughout the year. In contrast to the successes, there of course were also pupils who didn’t quite grasp the material yet, or at least have not found a way to communicate this in their test. This opens up the conversation that I can now have with them; already I have been able to set up extra sessions with pupils reflecting on the test and begun to film pupils talking through where they went wrong. On the whole this has been a positive experience; pupils know that we’re there for them and we’re not letting up in helping them to progress. As a subject leader, I also feel much closer to understanding where they all are and how I can move them forward. Now we’re using the tests to create end of year targets for our pupils and each subject is working on an extended project for the last few weeks of term which will provide an opportunity for pupils to progress on one of their targets. Didn’t quite get it? Well now’s your chance! Top marks? Well what’s your next challenge then? Testing isn’t the bad guy. This year has taught me that testing as a concept is not the arch enemy of creativity, nor is it an oppressive force which rids students of their individuality. Problems such as these come from weak design of assessment and a high stakes culture based around external monitoring. 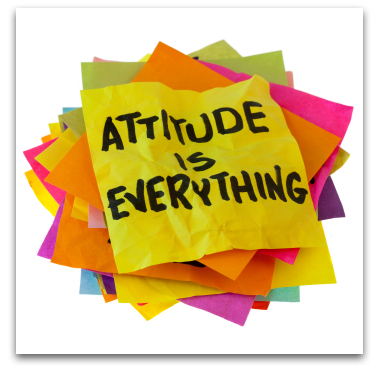 Within schools, when framed positively and designed by subject experts, tests instead become a formative part of the ongoing conversation that looks to move children onwards and upwards. That seems pretty good to me. Curriculum maps are mapped from KS4 back down to Year 7. They are designed based on the new National Curriculum, iGCSE specifications or equivalent and additional subject material as determined by subject lead. Good post, though I tend to think that most tests are a waste of learning time, you nail the argument with this point: “Problems such as these come from weak design of assessment and a high stakes culture based around external monitoring.” Well said. This entry was posted on June 30, 2014 by ragazzainglese in Education (general).